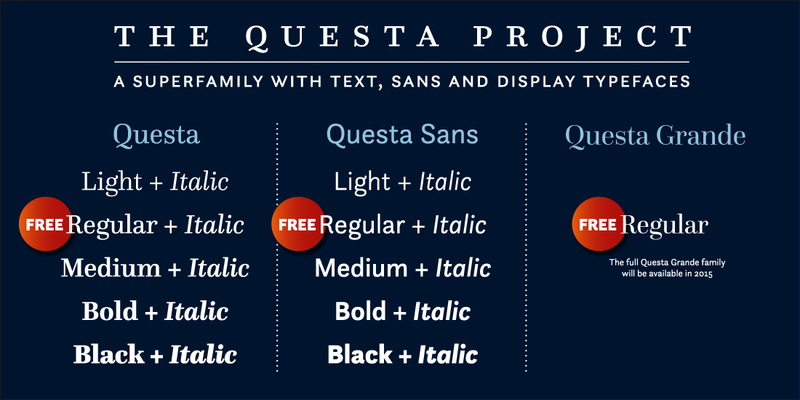 The Questa Project releases a new typeface super family! The Questa Project is a collaborative type design project by exljbris/Jos Buivenga and Martin Majoor. Museo Sans Display comes in 5 new weights: Hairline, ExtraLight, Light, Black & ExtraBlack. The Light weight is half the weight of the Museo Sans 100 weight. The Black weight has the same weight as the 1000 weight of Museo Sans Rounded and Museo Slab 1000.